Spirehoof the Corrupted and Crumblehorn are two bosses in the Warden Armour quest line in Stonevale. This guide will give you all the info on this boss. 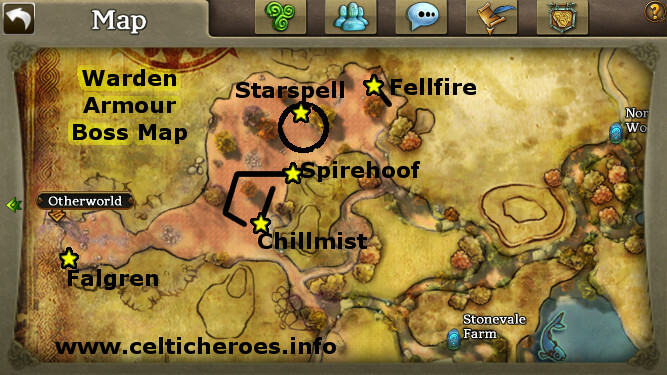 Spirehoof is the fourth boss in the Evil in Stonevale quest chain. Spirehoof is the fourth boss in the Warden Armour Quest line. Drops: Oak, Elm, and Crown disc fragments for the Warden quest armour. Location: Walks from right of West entrance to the Bloodgrove in Stonevale, to the middle South wall of the Bloodgrove. You need to DPS hard to get past the Wild Embrace skill, which Spirehoof almost always has active. You also need to buff up your armour and have heals because Spirehoof deals a lot of DPS.